With Halloween just around the corner, there are more and more Halloween-oriented things on the Internet, tattoos included. Here we have a slide show focused on Halloween tattoos and an tattoo artist into pumpkin carving. People and their stories, this time from WA, USA. Also, Mums with body art. 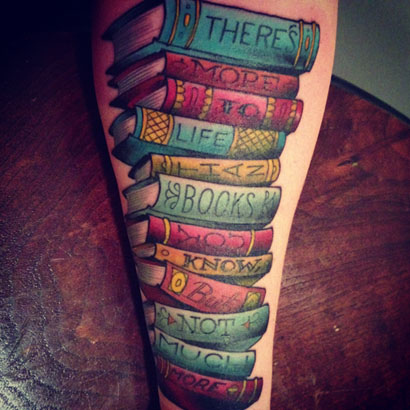 Another bunch of tattooed librarians getting ready to take over!